With the cost of developing a new drug from scratch topping a billion dollars, the attraction of finding a cheaper way to address unmet medical needs is obvious. How about taking an existing drug whose safety – and side-effect profile – is already established, and proving it works in another disease? The development process may be shorter and faster, but it still incurs costs. And how can these be recouped for a drug whose patent has expired? ‘There is a lower safety failure risk in the clinical work, and probably a shorter clinical path because of that lower safety risk,’ explains James Harrison, executive chairman of repurposing specialists Cycle Pharma, based in Cambridge, UK. ‘You can stand on the shoulders of work that was done before the approval of the initial indication.’ This also applies, to an extent, to drugs that proved safe but ineffective in patient trials. Much of the preclinical evaluation has been done; what’s needed is the clinical proof that it works in another disease. US-based non-profit Cures Within Reach (CWR) started to look closely at repurposing projects in 2011. ‘We try to repurpose medicines that are already available for human use,’ explains chief executive Bruce Bloom. This might be a drug that is licensed in another jurisdiction, one that is available for another indication, or even the re-evaluation of treatment regimens to improve effectiveness. Repurposing isn’t the free ride it might to be, however. The amount of work getting a new authorisation for an existing drug should not be underestimated, according to Harrison. ‘There is a lot of experimental work required before animal studies are done and the move into the clinic,’ he says. And this takes time. Repurposing can also be used to breathe new life into failed drugs. 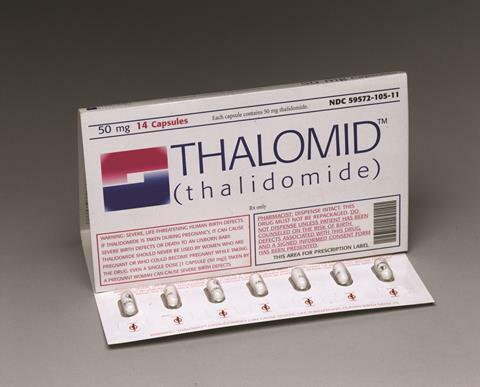 One might have thought that thalidomide would never see the light of day again after the horrific birth defects it caused in the 1950s and 1960s, but Celgene repurposed it as Thalomid to treat a complication of leprosy, and also multiple myeloma. Understandably, its prescription is strictly controlled because of the problems it causes to unborn children, but it has become a significant revenue stream for the company. Then there are those whose indication is switched in the development process, with Viagra (sildenafil) probably the best known example. Having initially been developed as a heart drug, a (not unexpected) side-effect in early clinical trials led to the creation of a whole new blockbuster indication, erectile dysfunction. And Viagra has itself been repurposed – sildenafil was subsequently given approval under the brand name Revatio for pulmonary arterial hypertension. Most CWR projects come from academic researchers or new biotech spin-outs who are looking for funding for proof-of-concept clinical trials, either so they can begin to use it off-label, or to start developing a commercialisation pathway. In some cases, a drug might be licensed in another country, but not at home. ‘One example is a drug that is licensed in Japan and is almost identical in function to a US-licensed drug for paediatric leukaemia,’ Bloom says. ‘If we repurposed a Japanese drug in the US, we have exclusivity for at least a period of time as no-one can manufacture and sell it in the US except us, even if it is generic in Japan.’ Another project involves a tropical disease drug, not licensed in the US as the disease doesn’t occur there, but which might work in acute kidney injury. Many drugs have side-effects that tell you that they are doing more than one thing in the body, Harrison explains, and these might be indicative of further potential indications. Cycle works with academic groups at various universities, and there have already been some preclinical successes, including one from Aarhus University in Denmark exploiting the antibacterial properties of the multiple sclerosis treatment Copaxone (glatiramer acetate) as an inhaled product for cystic fibrosis, and a project with Cambridge University and King’s College London in the UK repurposing anticancer PARP inhibitors for vascular disease. Data mining provides a further source of ideas. ‘The world is full of freely available data, in multiple databases that are rarely integrated,’ says Sergio Baranzini, a professor in the school of medicine at the University of California, San Francisco, in the US. ‘We take different kinds of data with a common key; for example, a database that contains information that connects genes and diseases, and another with information about which drugs bind to which molecular targets. These targets are typically proteins, which are coded by genes, and the genes provide the link between the two databases.’ It is then possible to compute the probability that any individual approved drug might influence the pathogenesis of a particular disease. To test the idea, they took a database of 137 diseases, deleted the known indications, and looked to see if they could predict them from the underlying data. They could, and other predictions gave new indications, including one in epilepsy and another in smoking cessation. Baranzini’s group is now studying compounds predicted to alter pathogenesis in progressive forms of multiple sclerosis. 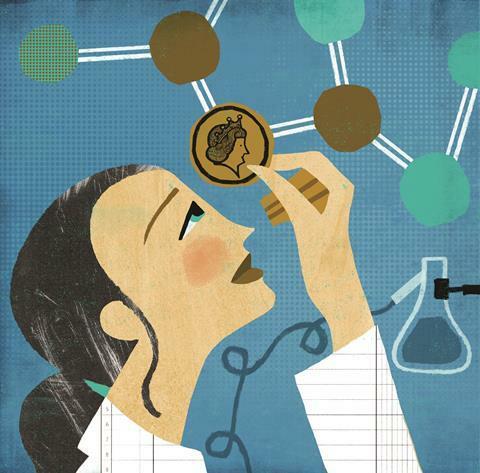 Repurposing offers a lifeline for many patients with rare diseases, where the relative risks and rewards of drug discovery often preclude research investment. But the need to reap rewards remains. François Houÿez, treatment information and access director at European rare diseases patient organisation Eurordis, cites the Orphanet database of ideas from (largely academic) clinicians using authorised treatments off-label for rare disease indications. ‘There were many projects for which evidence needed to be generated on efficacy and safety, and we though it could be a source of new ideas for market authorisations for second medical use of pharmaceuticals,’ Houÿez says. ‘But it didn’t work – the ideas did not match with companies or developers to take them on board.’ Put simply, they could not see how they might make money. Another way of monetising a repurposed drug might be to combine it with a diagnostic to pinpoint which patients might benefit, and use it regularly to track the drug’s effectiveness and whether the dosage level is correct. ‘Even though the drug might sell for the generic cost, the diagnostic could be sold at a premium,’ CWR’s Bloom says. Differential pricing might also succeed. If a prescription-only drug has promise in a new disease, and was shown in clinical trials to have benefits to the patients, it could be possible to charge more for that specific indication until the investment is recouped, after which it would revert to the lower generic price. ‘This is something that could be kept track of in most developed countries, where there are electronic records of diagnosis and the medications that are given,’ Bloom says. The US prior-approval process, where doctors have to ask the insurance company for approval for certain medicines, could provide a model. The indication might also be included on the prescription, so the pharmacist knows to dispense the patented product rather than a generic. Houÿez says patients and their doctors would also need educating. ‘We have to explain the importance of continuing to obtain new marketing authorisations for second medical uses, even if this means prices will be higher for some indications,’ he says. ‘This relates to the debate on reasonable pricing and the differential should not be too great.’ Otherwise, he says, we risk repeating the problems of Roche’s Lucentis (ranibizumab) in macular degeneration, where physicians use the related anticancer monoclonal antibody Avastin (bevacizumab) off-label instead because it is so much cheaper.